The academic year has almost passed and it’s time for CSA-EUR 16/17 Board to say goodbye to their Family. Our Marketing committee member, Khiet Anh Nguyen, had a cosy interview with the Board, where they revealed all fun facts and heart-warming moments from their CSA-EUR life, as well as expectations for the future crew. Discover the Boss side of your favorite Board Member below. First of all, can you tell me your names and positions within CSA-EUR? Xinyi Zhu (Xinyi); Treasurer and Head of International Relations. Just to warm up, can you disclose your committee’s fun facts? Terri: Cultural Committee is an advanced meme maker. ⅖ are fulfilling the Asian prophecy (studying Medicine)! Chong: As you can guess, we are language lovers. Each member of Education can speak at least 3 languages. Michelle: We are best at having high-class dinners. As we all know, CSA-EUR is a bridge between EUR and China and its culture. What is your biggest takeaway while leading such a unique organization? Jennifer: As a Marketing Manager, I’ve learned to be more rational. You should always estimate the feasibility and take all factors into account to implement ideas successfully. Remember that organizational and personal growth lies in your own hand. Xinyi: I’d say my communication skills has improved. Communication is the key for a well organised association. Michelle: It has taught me that everybody is different, although we share similar passions. Can you describe your typical workweek with CSA-EUR? Jiaxin: As a President, you are expected to pick and manage the projects as they arise and attend the various events of CSA-EUR. The tasks are various, both Board-related and Committee-related. Such examples are to host meetings, answer emails, assist the committees and many other unnamable tasks. One plus is that CSA-EUR is very flexible- you are free to plan your work throughout the week. Chong: During the week of the language course deadline, you will receive a lot of inquiry emails and process the applications. There are also emergencies popping up, requiring you to be creative and flexible to come up with new ideas, and communicate well with both teachers and students. Jennifer: A typical Marketing week involves loads of creative tasks (“no surprise but it’s good to mention I guess”). Together with the team, we develop promotion campaigns, plan out social media schedule or content for the newest blog. As a social media lover, the fun part of being in Team Marketing is to take fun snaps and insta stories! Oh, you can expect lots of eating out in CSA-EUR! Michelle: The connection between managing external relations as Vice-President and organizing business events is very strong, but also very different from day to day. Therefore, it requires a lot of research, calling and meetings. Now, the practical part of this talk- Board Recruitment. After all those experiences, what will be the characteristics of your ideal Board Member, and what do you hope CSA will achieve next year? Jiaxin: 3 characteristics I’d say are Rational, Eye for the bigger picture and Attention to detail. I hope to see a strong, big CSA family- particularly, 1500 members! Xinyi: I value Responsible person. For International Committee, I wish Study Trip Committee to create even more valuable experiences for participants! Terri: You need to be both a team player and a leader. For Cultural, we strive for big and extraordinary events. Jennifer: My ultimate goal is people look back happily to their time at CSA. Next to that, a side-wish is 3000 Facebook likes, hopefully when I’m still on board. What is the biggest achievement you and your team has achieved during the year 2016/2017? Chong: During the Eurekaweek, we as the board put a lot of effort for promoting CSA-EUR and attracting new members. We had some difficulties such as very hot weather, not good spot etc, but everyone worked very hard and had fantastic ideas to attract students. Jennifer: Yes, I agree! The days I will remember as sunny, Panda loving and me busy with breeding new herds of CSA representatives (CSlaves). As for Marketing, we have set strong foundations for upcoming years. This not only includes social media, website and design, but also data analysis and promotion campaigns. Michelle: The biggest achievement for Business Committee was definitely China In Focus 2017! Terri: Probably Moon Festival. That party was a huge blast with a record number of participants. But we still have City Trip ahead, so stay tuned. Last but not least- why CSA-EUR but not elsewhere? Jiaxin: We have the best people. Tremendous board. Best committees. Chong: You will mingle with people who share the same interests! Terri: I’d say international connections. You can do business in a family-like community. Michelle: CSA-EUR is good for your personal development. It is small enough to be able to implement your creative ideas and large enough to have many responsibilities. 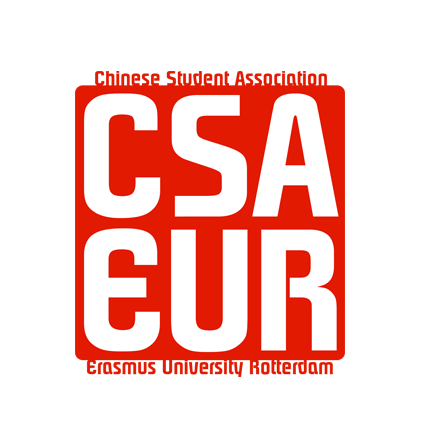 Interested in the Board Position(s) and eager to be the next generation of CSA-EUR? Contact us via recruitment@csa-eur.nl and shoot your questions. Application for Board Recruitment 2017/2018 is open until Tuesday, 2nd of May – apply HERE.